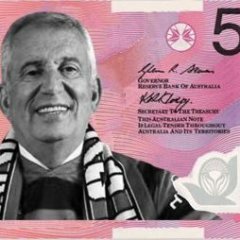 Western Sydney Wanderers are into the FFA Cup 2018 Semi-Finals with a 2-1 win over Melbourne City tonight. Markus Babbel sprung a surprise on the Melbourne City opposition with the selection of fast winger Jaushua Sotirio in the starting lineup. City for their part kept most of their powder dry, leaving the likes of Ritchie De Laet and Florin Berenguer. Josh Risdon was lucky in the 7th minute to not give away a penalty for a handball, as he attempted blocking a cross from Dario Vidosic. Replays were inconclusive but suggested it was off the national team fullbacks chest or back. That warning for Risdon clearly didn't reach his brain, as in the 11th minute, with absolutely no danger to the side in the offing, Risdon handled the ball and the referee had no hesitation in awarding a spot kick. Bruno Fornaroli the star attacker stepped up, but his ambling 'walk up' resulted in a weak shot that rolled wide, despite Nizic having gone the wrong way. Fornaroli should have opened his account a few minutes later, Lachie Wales broke down the right flank and beat the Wanderers wide defence of Llorente & Bonevacia, his cut back was perfect and surprisingly Fornaroli smashed it wide right. Western Sydney should have taken the lead themselves in the 20th minute. A cute free kick trick play saw the Wanderers play a number of wonderful short fast passes, the final ball however was behind the attackers, had it been more accurate or had the runners made a delayed run they would have had a tap-in. The Wales/Fornaroli combination gave another fright to the Wanderers, with Wales athletically jumping to lift a cross to the penalty area, Fornaroli found it with his head but touched it over the bar. The game finally had a piece of consistent quality in the 32nd minute, as the away side took a 1-0 lead somewhat against the run of play. Baumjohan stepped in to deliver a corner, his flat in swinging ball to the near post found the head of Riera, and the marquee striker glanced a perfect header through the bodies into the back of the net. Luke Brattan lost the ball in a dangerous position to a Riera challenge, and the striker swept it on to Sotirio, who got a bit lucky with a mis kicked shot, it rolled into the path or Roly Bonevacia and he lashed the ball home to make it 2-0 to the Wanderers just before half-time. The goal saw the two sides head to the break, the Wanderers having overcome their early wobbles to storm to the lead and hold it. City with their early failures didn't recover mentally and began giving the ball away and resorting to breaking up the Wanderers attack with blatant fouling. Unfortunately for the Wanderers their 2 goal cushion only lasted 7 minutes. Melbourne City, with momentum given to them by a series of refereeing decisions, attacked and picked up a corner. Despite an awful corner, it fell to Riley McGree and he arrowed a shot into the top corner. The first sub of the night came in the 56th minute, and it was one that may result in further interest from the media. Kearyn Baccus stormed off the pitch after being replaced by Marc Tokich, throwing his shirt to the ground angrily as he stomped up the tunnel. Melbourne City began throwing players forward chasing the game, helped by a compliant very home team biased referee who blew his whistle every time a City player theatrically fell to the floor. Tarek Elrich replaced Sotirio to bring more defensive muscle onto the park for the Wanderers. Despite the help of the ref and a huge amount of possession, Melbourne City huffed & puffed but couldn't penetrate a stoic Wanderers defence, and Western Sydney became the first team into the Semi-Finals of the 2018 FFA Cup. He'll give him one chance, use it as a teaching moment for the whole team and give him the chance to turn it around... Well, that's what I would do. Well said & spot on. If he had been here last year, I wonder whether he would be as patient. Marcus has played the situation very calm, but behind the scenes need to sort him out. Can’t have more of the carry on this season. Give him a few weeks of the treatment & then bring him back into the fold. I feel that Babbel has had a few words with them after the Mariners result. Anyway, This is a great result. The team is looking like a potential top 4 team for this season IMO. I know what was happening last week. The Central Coast game was one big ploy to fool our fan base & the heartless into lowering expectations. Then pull the finger out. This Babbel Guy is a genius. This seems to be the biggest difference between our last two managers. Playing the football with the bodies & skill set available, if we want to do more than just make the top 6 it’s the mentality we need. That’s a pretty good effort, they usually average around 8k. Sotirio is the perfect squaddie (think trifiro or Shannon cole). He runs & runs, gives a 100% each game & makes up for his shortcomings with effort. It’s something that is undervalued in our team & hope that people will come to realise the value he provides. He’ll never be a prolific season player but will always be available for selection, rarely injured, play anywhere he is told & wont throw a strop if he doesn’t get what he wants. Also, from what I understood. Fantastic first half but struggled second? Didn’t give away many chances but gelling well? Is anyone worried about our ceiling? I don’t see us getting significantly better, whereas many other teams have big players yet to come back? We will get better. A lot better I believe.The new manager has changed the style of play from the last two seasons. Gone ( hopefully ) are the relentless passing around at the back with little or no go forward. This will take time but there are some very positive signs. I can't really comment on previous games but if comments here are anything to go by then the game against Melb City was a big step up to what we have been doing. That can only improve once the new guys get their feet and the combinations gel. Optimistc for this season. Comes from playing time, particularly for a keeper, communication with back four and confidence building with saves. Has moved on in form since Darwin, not there yet but promising signs will develop into a good keeper, got to build players confidence up. Agree, as the team settle into Babbels style (dare I say philosophy) we will improve. You can see that already, City performance was far better than Darwin or Bonnyrigg. Llorente’s defending worries me, he had the back tore out of him numerous times which could have cost us. So where would a potential derby semi or final be held? Allianz is under demo orders, ANZ would be just awful and big. It would be good if it was taken to a suburban ground, Leichardt or Penrith? cashcow will make sure its at anz, but being a midweek game spotless might get the nod. All depends on Adelaide next week. If they win it's up in the air. 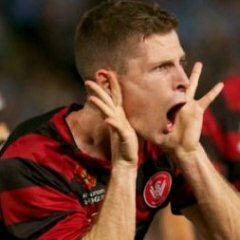 If not will the FFA change its tune to try and get another derby as the final? I could understand bringing him off the bench when we were holding on, his pace could be useful with a team pushing forward for an equaliser but to start him, he just doesnt seem to offer anything at all. At one stage last night he actually had the chance to utilise his pace but cut back and held it up then lost it. I just dont see the value but perhaps others can. From what I understand Spotless is unavailable due to the Extreme Games to be held there in October - several thousand tons of soil and crap on the oval, along with the the trucks and diggers to move it around each night to change the setup for the next day. It will take weeks to recover and probably why we don't have a home game there until November. Pleasantly surprised by last night, really thought we were going to get done badly but the defense in particular has come leaps and bounds since Darwin and Bonnyrigg. After the early scares from Fornaroli we really settled and I'd say comfortably handled everything they threw at us considering their one goal was freakish/unsaveable. Also, Roly is looking better out on the wing then at 10 or 6 IMO. Whoever the referee was last night, I thought he was awesome. Great use of the advantage. How dare you mention two gods in the same breath as Sotirio. It's a weekend game probably on the 6th. Ziggy makes me moist AF. What a genuine talent, hard as nails and smart. They were also asking why Tongyik an Kamau weren't here (they were injured) and said Baumjohann was a marquee so I largely ignored anything else they said for rest of match. I said people were panicking a bit too much after the Darwin game.....seems we are heading in the right direction as pre season is progressing. Still not where the gaffer would want us to be but all you want at this stage is to see an improvement on the last outing....and we are getting that. 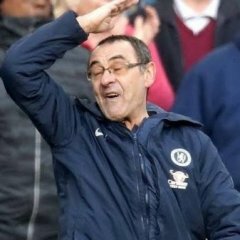 How refreshing is it to see that we don’t seem gassed after 60 minutes?